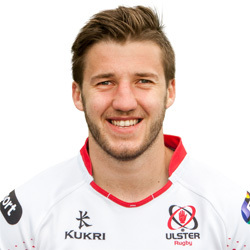 One of the rising stars of Irish rugby, Stuart McCloskey plays in the centre for Ulster, and at the age of 23, has already been selected for Ireland this year, when Jared Payne was injured. I have seen him play many times and have often wondered if he and I were related. My mother’s mother was a McCloskey from near Coleraine. Stuart was included in the training camp for the 2016 South African tour, but was not included in the final selection. But I have no doubt that his turn will come. Belorado is a small village that lies between Logrõno and Burgos in northern Spain, on the pilgrim way to Santiago de Compostela. The location has apparently been inhabited since before Roman times. On the way into Belorado we came across a sign stating that four hundred casualties of a local battle between local volunteers and the occupying army of Napoleon were buried beneath the ground on which we were standing. A little further on we came across the Albergue A Santiago and I took a room for the night. Later, having a beer outside in the warmth of the evening sun, we chatted with two Frenchmen. They were of early retirement age and were on their fourth pilgrimage to Santiago. Walking from village to village for days and weeks on end can be quite addictive. They told us of a sailor that they had recently met who had been involved in a shipwreck off Iceland many years previously. The sailor had sworn to the Virgin Mary that if he survived he would spend the rest of his life walking to Santiago de Compostela. He was subsequently saved and to date he had completed 25 pilgrimages, including one from Saint Petersburg in Russia. 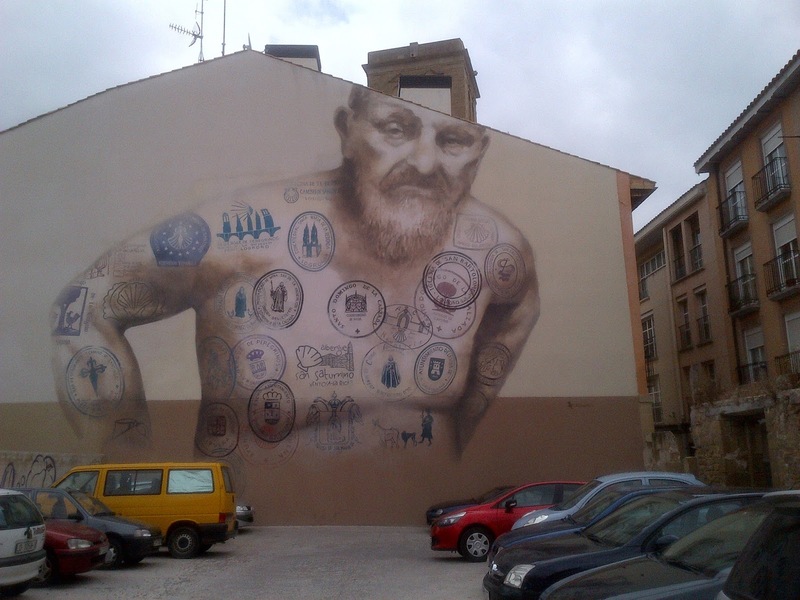 It was not until later that I recalled having taken a photo in Logroño of a huge wall painting of an old man with body tattoos of the stamps of various Camino villages. Was he the old sailor that the Frenchmen were describing? One of our regular valley floor walks follows the river Aveyron to the north-east of Chamonix, as far as the furthest bridge and back along the other bank. The rapids are fed by the melting ice from Mer de Glace, the largest European glacier. At regular intervals along the river are warnings to the public not to venture near the river bed, as the water level can rapidly change when water is released from the dam further upstream. When that happens the current through the rapids is so powerful that small rocks the size of a fist are spat into the air. Despite the warnings of the danger being in French, German, English and Italian, many people wandering on the riverbed or sunbathing on the rocks appear to believe that they are immortal. Or perhaps just plain stupid. 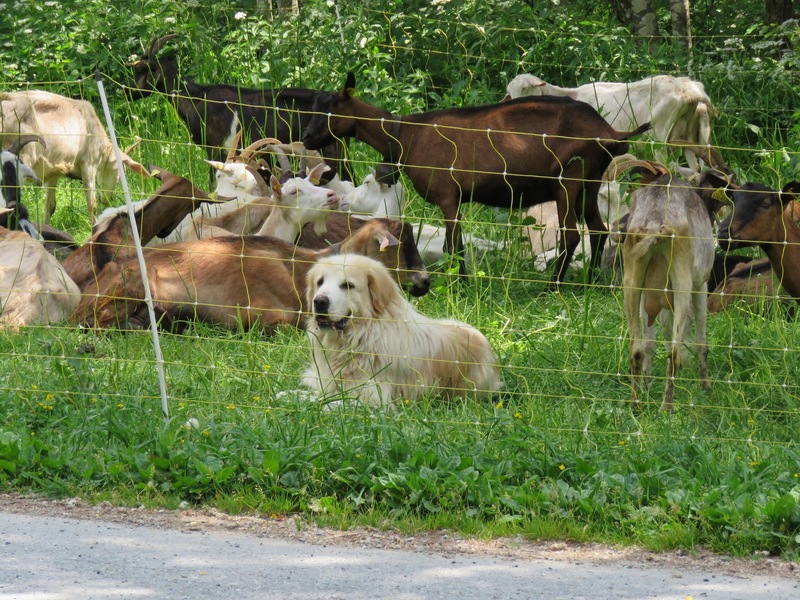 At the upper end of the valley is a small subsistence farm, with herd of goats and their accompanying guard dogs. Their enclosure fencing is moved most days and it meanders up and down the valley, the goats consuming anything that is edible. Initially the huge guard dogs used to growl and snarl if we got too close, but now they ignore us. Apparently they have got accustomed to both our smell and voices and no longer view us as a threat to their charges. 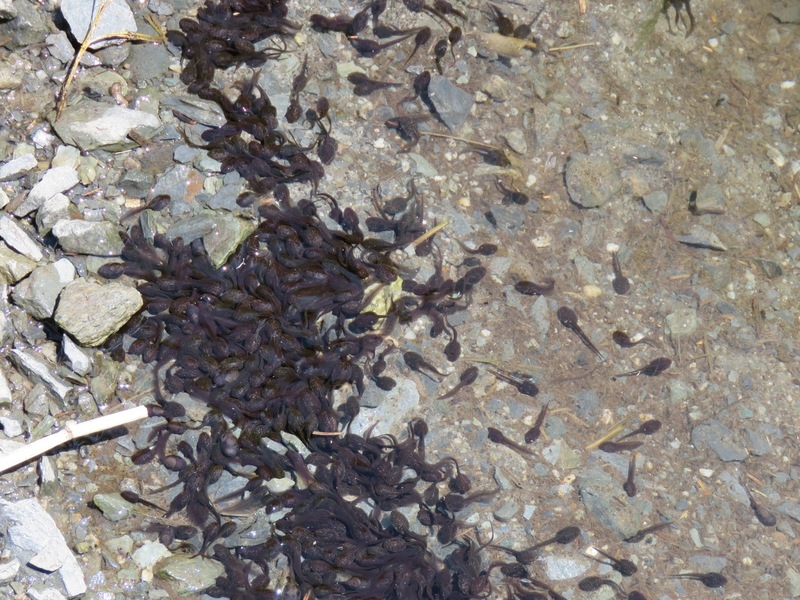 Near the farm is a small pool beside the road, host to a multitude of tiny tadpoles. They must have ‘hatched’ out in the last few days. It will be interesting to follow their life cycle. 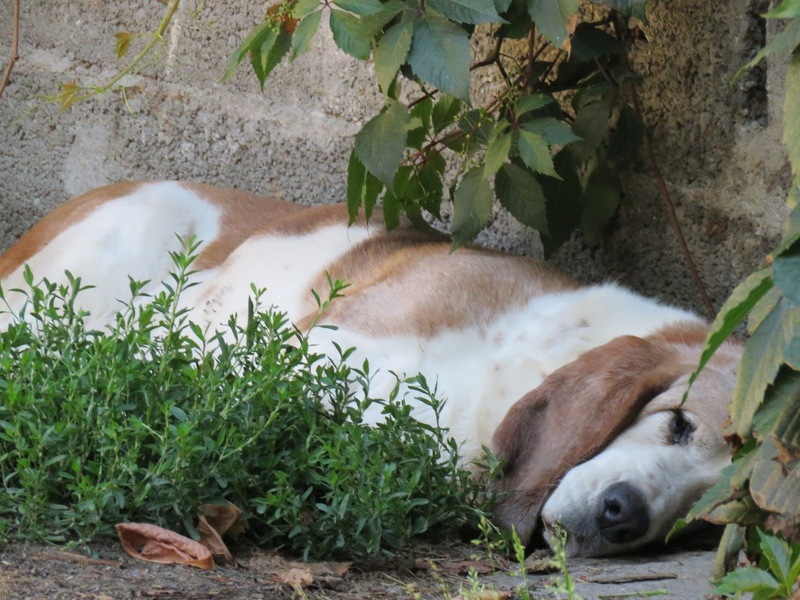 And guarding the farm is a sleepy old Basset hound that has seen better days. Old man Watton was a very old man, at least as I remember him when I was young. He was grizzled and grey and said very little. But he was so strong. In his hands the heavy hammers and pliers of his blacksmith’s trade were like a child’s toys. When I close my eyes I can still recall the sound of the hammer striking iron, the huge black bellows that he operated with his foot, the intense heat from the coals and the fierce hissing when he dipped the red-hot metal in the water. 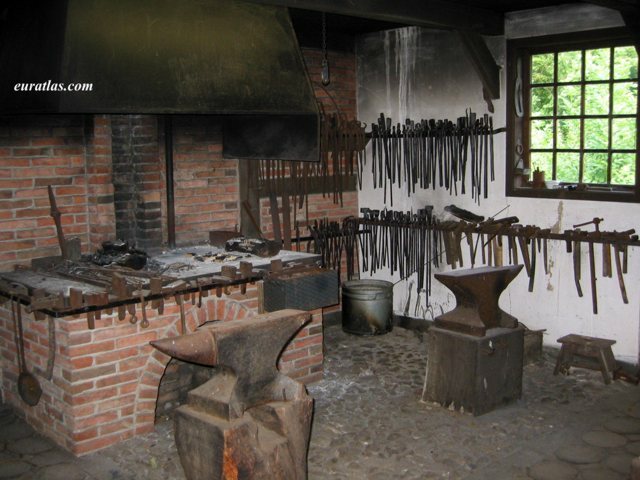 I went to the forge may times as a child, usually delivering eggs to old Mrs Watton, sometimes taking a piece of metal thatmy father needed reshaped for the farm. The forge was on the way from my parent’s farm towards Portrush, past the headmaster’s house and Carnalridge Primary School and just after the honeysuckle bush that my mother loved so much. 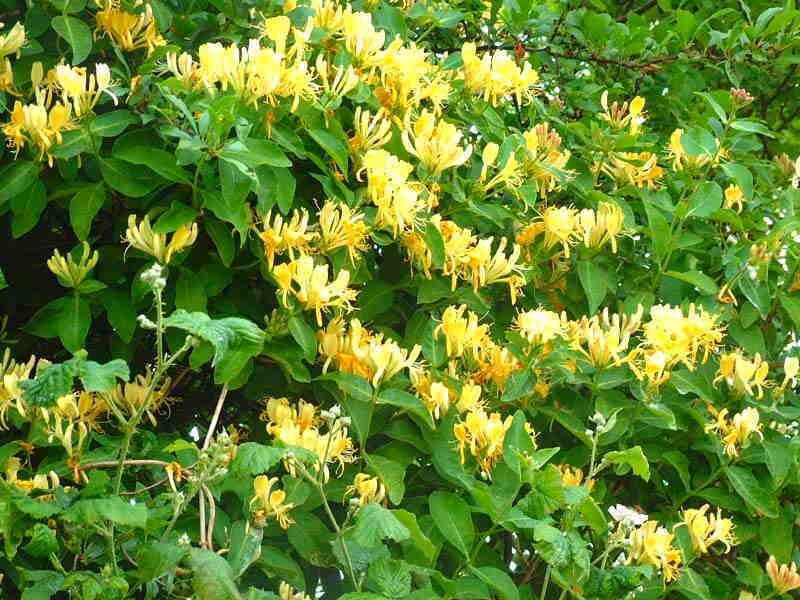 When I was young she used to take me there of a warm summer evening to experience that heavenly scent. When the air was still, one could smell it from quite far away. The smithy was at the end of a narrow lane. It overlooked the town and was not far, probably no more than ten minutes walk from our farm. On the right of the entrance was the tiny cottage of the Dallas family with their beautiful vegetable garden and opposite there was a spring, with a metal cup hanging from a hook. That water was so pure, so cold and refreshing. And at the end of the lane was the smithy. But progress and modernization have marched on. The spring had been covered over and the lane turned into an asphalt road. The old Irish cottage of the Dallas family has been replaced by a tasteless modern bungalow and the vegetable garden is now a car park. The smithy has disappeared and the honeysuckle bush has long gone. These days I know more people in the graveyard than in the street. And sometimes I feel that it would be better never to return again, just to remember it as it was. 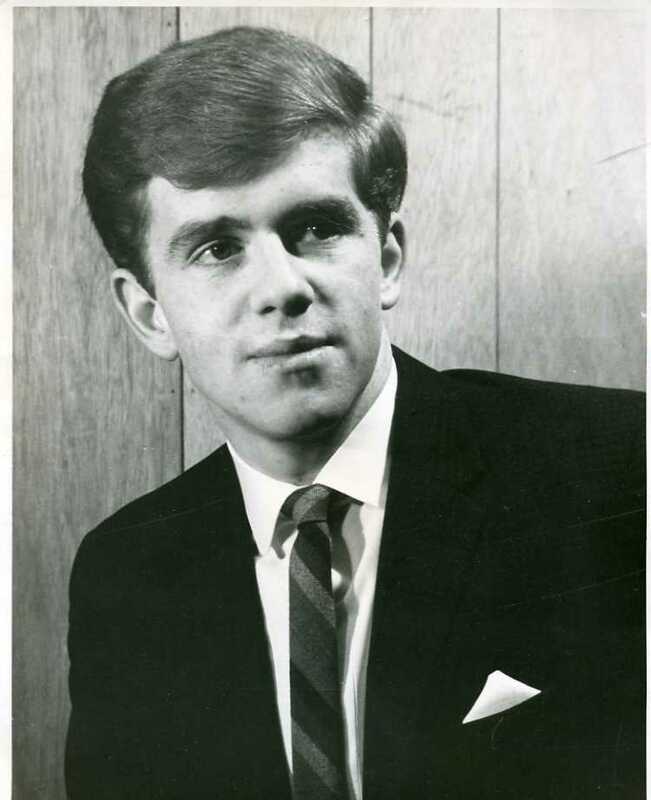 It was on this day – 8 July 1965, that I left Ireland and migrated to Canada. Like several million Irish before me, I set off to travel and make my fortune. I had just over £100 in my pocket and all my possessions fitted into a small suitcase, with plenty of room to spare. I was just eighteen and still quite ‘wet behind the ears’. Since then I have managed to see a great part of the world, but there are still many places in which I would like to spend some time. I may need another fifty years of wandering. As for my fortune, it is still a work in progress. And apart from a small collection of books, my few possessions still fit in a small backpack. The first time I came across that quotation was on a steamy summer’s early evening in a little Greek restaurant in London, in Soho, just down the street from the Palladium theater. The quote was incorporated in a large fresco of an idyllic Greek island scene. At the time I was insanely in love, but apart; she continued travelling around the US and I had to return to the UK to work. That quotation just about summed up my nascent attitude to life in that era. After an early dinner, I went to the Palladium for a Manhattan Transfer concert and the next day I flew out to Nigeria to start a three month assignment with an multi-national oil company. And today, sitting in the sun outside a bar in a little plaza in Leon, I came across that same quotation, and I recalled that night long ago. I don’t know if the restaurant still exists or if Manhattan Transfer still perform, and her path and mine only briefly crossed one more time. But I don’t believe that my attitude to life has changed much since that hot August night in 1978. Yesterday in the Fondatión Pierre Gianadda, there was an interesting exhibit about the pilgrimage route from Canterbury to Rome. It was the first time I had seen it displayed. I had read of it, but the routes to Santiago have always been foremost in my mind and I still have many to complete. If I survive long enough I may one day attempt the route to Rome. Later I went into the church in Martigny and was sitting quietly contemplating at the back. It’s striking how quiet the church always is. The silence almost hurts. Sitting in the church is something I seem to do every time I am here and almost always I have been alone. Today an older man came in by the side door. He was dressed as a pilgrim and had a backpack, and on it was the pilgrim’s shell. He stood still for a long time at the front – perhaps for ten minutes. He never looked around. When he left, I immediately went out to find him and talk to him, but he was nowhere to be seen. 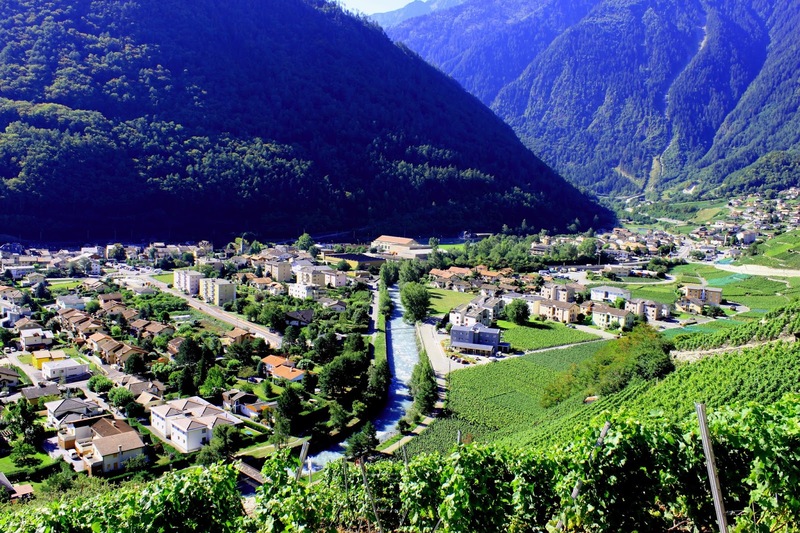 This morning when I was passing through the outskirts of Martigny, on my way up the valley to the Col de Forclaz and on to Switzerland, I saw the same pilgrim in the distance, ahead of me. Although I walked as quickly as my lame leg would allow, before I could catch up with him, he turned left onto the path to the Saint Bernard pass and Italy. When I reached the turning, he was out of sight. Was that a sign of where my personal path is leading me?